Interviews with Dr Cammi Balleck (happy hormones) and Dr David Barchyk (holistic wellness) Available for Listening. 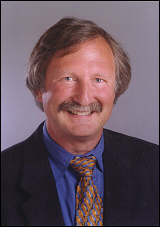 Mark has also maintained a consulting practice in Complementary and Alternative Medicine for the last 15+ years, and has lectured on breast, prostate and a variety of other cancers in addition to cardiovascular disease and general health promotion internationally in almost every country and in all 50 states and at every single major academic institution. He has and continues to consult for and appears regularly in major magazines and television shows devoted to health in the U.S For example, he is currently being featured regularly (providing diverse health advice) on the Huffington Post, Fox News in Chicago, appeared on the Dr Oz show in the fall of 2011 as an expert on male and female health, and he was briefly featured in the March 2012 issue of Fitness magazine. 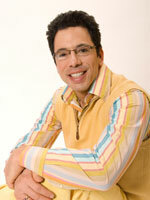 He will be featured as the expert in diet and dietary supplements in multiple publications and books in 2013. He has been asked to provide advice and expert opinion for multiple diverse organizations from corporations, government regulatory agencies, pharmaceutical and nutrition based companies. In fact, Abbott Labs currently uses his materials to teach health care professionals and the public about diet and dietary supplements. Mark was the former course director or co-director for the annual AUA (American Urological Society), ASCO (American Society of Clinical Oncology) and SUNA (Society of Urologic Nurses Association) class on Complementary and Alternative Medicine. Currently, he is part of the faculty for annual men’s health course at the AUA meeting and conducted a 2-hour course on dietary supplements at the American Pharmacists Association (APhA) annual meeting in March 2012 in New Orleans, LA. 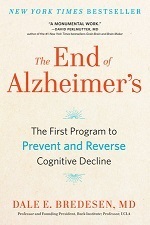 Mark is the co-author or author of 9 books including his most recent “Dr. Moyad’s No Bogus Science Health Advice: A step-by-step guide to what works & what is worthless”, “Beyond Hormonal Therapy”-a guide for advanced prostate cancer patients, and his just released “Dr. Moyad’s Guide to Male Sexual Health” (Amazon and Spry Publishing, June 2012). Mark also recently agreed to and is completing the guidebook on “Complementary and Alternative Medicine in Urology” (2012-2013 release from Springer Medical Publishing, New York). Mark created the Promoting Wellness campaign, which involves teaching materials (Promoting Wellness Book-3rd Edition, Promoting Wellness Newsletter, Handouts…) that focus on lifestyle changes and objective dietary supplement advice, which is now utilized by clinicians and patients, primarily working in the area of men’s and women’s health from Australia to Europe to South Africa. 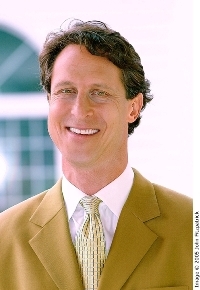 Mark has probably educated the largest number of health care professionals on the topic of complementary and alternative medicine/dietary supplements in the world while also arguably writing and publishing the largest number of medical articles on integrative medicine and in 2009 he was named as one of the most influential doctors in the U.S. by USA Today. Currently, he reviews diet and dietary supplement articles for health care professionals every month so that they can become better educated in this area and receive medical credit. His current research involves lifestyle changes and the use (or non use) of dietary supplements to promote women’s and men’s health, reduce cancer treatment side effects, advocacy, & cancer vaccine/immunotherapy testing. For the past 15 years, Dr. Moyad has also volunteered weekly for national and local patient advocacy groups and low-income/free clinics in need of help. Currently he volunteers for multiple national patient advocacy groups (PAACT, PCRI, US TOO…) to provide monthly education, help patients in need of more information, better access to the latest medical care, and other resources. 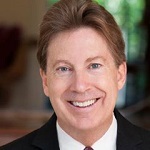 He is also the annual co-moderator of arguably the largest men’s health/prostate cancer patient conference in the world, which is held every year in Los Angeles, CA (PCRI conference). He also helped for years after Hurricane Katrina and worked with the Lower Ninth Ward Health Clinic in New Orleans to provide anything and everything from books for children in the waiting room, medical supplies and regular fundraising for the clinic itself. Currently, he is helping to improve medical services in Haiti and assisting with bringing kids to the U.S. in need of more serious medical treatment. Dr. Moyad is also one of the creators and now the co-chair of the EAPPCa (Early Access Program for Prostate Cancer) committee, whose primary purpose is to negotiate and facilitate the delivery of ground breaking successful phase 3 medications to individuals with the most advanced forms of cancer while these medicines are in the 6-12 month window waiting for FDA approval. For example, the drug MDV-3100 was just approved in May of 2012 to be available for Early Access and the company announced their work and partnership with Dr Moyad and his committee on a global press release, which represents one of the first times that a volunteer patient advocacy groups was able to help provide a pathway for free groundbreaking medications to get in the hands of some of the most desperate cancer patients. In 2013 Dr Moyad will become part of the Promoting Wellness foundation whose primary purpose is to improve access and the health and well being of indigent patients around the world. Dr Moyad also loves water sports, movies, sushi, and his family, but of course not in that specific order. While at Brown he continued to pursue his desire to go to medical school and made sure he completed all of my pre-med requirements along with Archaeology training. He applied to Jefferson Medical College in Philadelphia, PA, was accepted and went in the fall of 1996. Knowing that western medicine was failing many people with its approach of label, diagnose and prescribe medicine or surgery, Dr Koniver opened his own practice- Primary Plus Organic Medicine with a new focus– a focus on helping patients achieve optimal health and well-being, naturally. He was interested in helping patients figure out the root cause of their problems and not in covering up their symptoms. My guest on Saturday is Peace Mother Geeta Sacred Song who is a Peace Shaman and ecstatic Enlightened Master. She is an embodiment of Divine Mother Love, Wisdom and miraculous healing. ON SATURDAY MY GUESTS ARE DR. JACOB TEITELBAUM (LEFT) AND DR. DAVID RUSSELL. DR TEITELBAUM, A BOARD CERTIFIED INTERNIST AND MEDICAL DIRECTOR OF A NATIONAL CHAIN OF FIBROMYALGIA AND FATIGUE CENTERS (WWW.FIBROANDFATIGUE.COM) SUFFERED WITH AND OVERCOME THESE ILLNESSES IN 1975. HE SPENT THE NEXT 30 YEARS CREATING, RESEARCHING, AND TEACHING ABOUT EFFECTIVE THERAPIES FOR FATIGUE AND PAIN. HE IS THE SENIOR AUTHOR OF THE LANDMARK STUDIES EFFECTIVE TREATMENT OF CHRONIC FATIGUE SYNDROME AND FIBROMYALGIA-A PLACEBO CONTROLLED STUDY AND OF EFFECTIVE TREATMENT OF CHRONIC FATIGUE SYNDROME AND FIBROMYALGIA WITH D-RIBOSE. MY SECOND GUEST IS DR DAVID RUSSELL WHO HOLDS A DOCTORATE IN NATUROPATHIC MEDICINE AND IS COMPLETING ANOTHER DOCTORATE OF DIVINITY AND IS THE FOUNDER AND DIRECTOR OF THE NON-PROFIT ORGANIZATION CARITAS TRADITIONALIS, AN INTERNATIONAL PROJECT WHOSE GOAL IS TO CREATE A SELF-SUSTAINABLE MEDICAL PRESENCE IN ECONOMICALLY DEPRESSED COMMUNITIES. HE ALSO MAINTAINS CONSULTATION ON INTEGRATED HEALTH IN TUCSON, ARIZONA AND DENMARK. . FOR THE PAST 30 YEARS HE HAS TAUGHT CLASSICAL MEDICAL DISCIPLINES IN EUROPE, NEPAL AND THE UNITED STATES AS WELL AS DIAGNOSTICS AND HOMEOPATHY IN NATUROPATHIC SCHOOLS IN DENMARK AND NORWAY. IN ADDITION TO HIS DOCTORAL DEGREE HIS EDUCATION INCLUDED STUDYING AND PRACTICING WITH CLASSICAL MASTERS IN EUROPE, NEPAL, AND THE MIDDLE EAST. HE HOLDS CERTIFICATION IN REFLEXOLOGY, HOMEOPATHY, ACUPUNCTURE, BIOCHEMISTRY, IRIDOLOGY, AND KNEIPP THERAPY. HE IS ALSO QUALIFIED IN CHINESE, TIBETIAN, AYURVEDIC AND ISLAMIC MEDICINE. HE LIVED IN DENMARK FROM 1969 TO 1991 AND HAS WORKED IN THE HEALTH FIELD SINCE 1974, DURING THAT TIME HE BECAME A FOUNDING MEMBER OF THE DANISH SOCIETY FOR INTEGRATED MEDICINE AND WAS INSTRUMENTAL IN ESTABLISHING THE THREE MAJOR CLINICS FOR INTEGRATED MEDICINE IN DENMARK. HE IS ALSO A MEDICAL CONSULTANT FOR A DANISH CLINIC FOR DRUG AND ALCOHOL ABUSE. DAVID IS THE AUTHOR OF HEALTHY SOLUTIONS: A GUIDE TO SIMPLE HEALING AND HEALTHY WISDOM, FOR WHICH HE RECEIVED THE ARIZONA BOOK AWARD FOR BEST HEALTH/NUTRITION/WELLNESS BOOK. HE LECTURES WIDELY AND HAS BEEN FEATURED AT EVENTS AND CONFERENCES INCLUDING THE INTERNATIONAL ORGANIZATION OF PROBIOTIC MEDICINE, INSTITUTE OF NOETIC SCIENCES, AMERICAN ACADEMY OF BIOLOGICAL DENTISTRY, CANCER COTROL SOCIETY, JUNGIAN SOCIETY, AND THE U OF ARIZONA.